Two ancient and medieval fortresses located right next to Veliki Preslav (“Great Preslav"), one of the capitals of the First Bulgarian Empire (680-1018 AD), are being ravaged by treasure hunters, an archaeologist alarms. The two fortresses of Byal Grad (“White Town") and Dolni Stradini (Lower Stradini), which are located right outside of Veliki Preslav, capital of the First Bulgarian Empire in 893-970 AD, are being searched and destroyed by treasure hunters, according to Dimitar Dimitrov, an archaeologist at the Veliki Preslav Museum of Archaeology in the modern day town of Veliki Preslav, Shumen District, in Northeast Bulgaria. 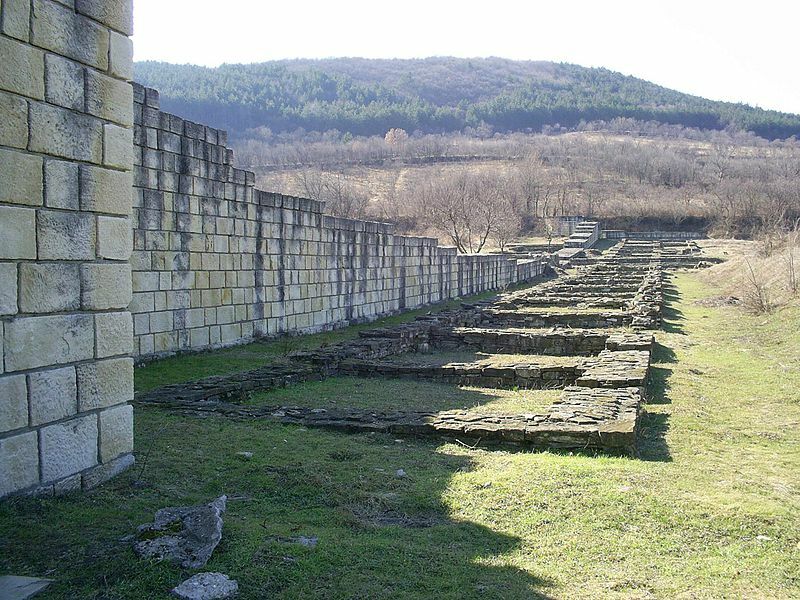 The archaeologists from Veliki Preslav have discovered damage done by treasure hunters to the fortresses of Byal Grad and Dolni Stradini during recent inspections of the area around the medieval Bulgarian capital, Dimitrov has told Radio Focus – Shumen. In his words, the illegal treasure hunters have left pits inside and around the two small fortresses, as the warmer weather in Northeast Bulgaria has allowed them to stage a new onslaught against the rich archaeological heritage in the region of Veliki Preslav. The fortress of Byal Grad is located 3.5 km to the southwest of Veliki Preslav, while the other fortress, Dolni Stradini, is situated 3 km south of Veliki Preslav. Dimitrov has expressed grave concern about the condition of the two archaeological sites that have suffered substantial damage from illegal treasure hunting. “Several years ago there was an encroachment on the fortress of Dolni Stradini. The police were alerted but no rescue excavations were carried out. There wasn’t sufficient funding for such explorations as [the allocated funding] focuses primarily on excavations in the inner city of Veliki Preslav and the larger sites around it," the archaeologist explains. In his words, the damage inflicted by illegal treasure hunting activities is irreparable as historical artifacts and their original surroundings are lost forever even if funding for rescue digs is allocated later. He agrees that the inner city of Veliki Preslav warrants greater attention but insists that other archaeological sites nearby should not be neglected. Veliki Preslav (Great Preslav) is one of the capitals of the First Bulgarian Empire. It took over from the city of Pliska (located just 35 km away), which was the capital of the First Bulgarian Empire in 680-893 AD. Veliki Preslav was the capital of Bulgaria in 893-970 AD, at the height of the Bulgarian state, during the so called Golden Age that started with the reign of Tsar Simeon I the Great (r. 893-927 AD). The state capital was moved from Pliska to Veliki Preslav, a new medieval city nearby, in 893 AD in order to seal Bulgaria’s adoption of Christianity and the Bulgarian (Slavic, Cyrillic) script. The ruins of both Pliska and Veliki Preslav can be seen today in the Shumen District in Northeast Bulgaria. The fortress of Byal Grad is located 3.5 km to the southwest of Veliki Preslav. It dates back to Ancient Thrace and Ancient Rome, and was also used in the early Middle Ages by Byzantium and Bulgaria. It existed between the 4th century BC and the 10th century AD. The fortress of Byal Grad (meaning “White Town") near Veliki Preslav is one of the many toponyms with the same name in the Balkans and wider Eastern Europe, the areas once settled or conquered by Ancient Bulgars. Those are found in modern day Bulgaria, Macedonia, Albania, Serbia (most notably the Serbian capital Belgrade), Romania, Hungary, Ukraine. Some authors believe there is an etymologic connection between the word “byal" and the name of the Bulgars, who are the ancestors of today’s Bulgarians (together with the Slavs and Thracians). The fortress of Dolni Stradini is 3 km south of Veliki Preslav. It is an early Byzantine and Bulgarian fortress town which existed between the 5th and the 10th century AD.